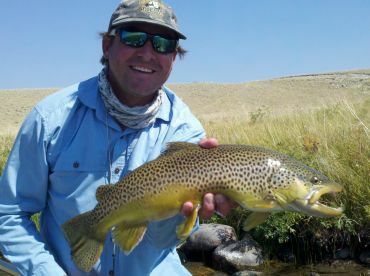 Montana fishing trips are great for anglers of all skill levels. There is year-round fishing here, and with 26 rivers, 30 large lakes, hundreds of small lakes, and countless tributaries, it’s no wonder that many Trout rivers in Montana have been awarded the acclaimed blue-ribbon status. 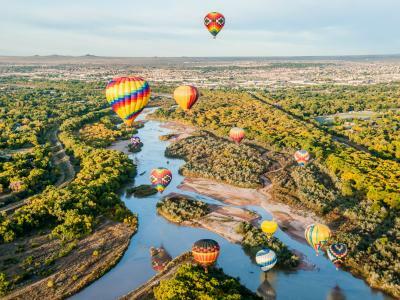 The Treasure State earned its nickname for the undisturbed waters, mountain ranges, and species of both native and non-native fish that call these waters home. 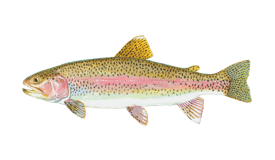 In the mountain lakes, you can find both Golden Trout and Arctic Grayling. In fact, this is one of the few states where you can find Arctic Grayling, making it quite prestigious. The geography of Montana offers a diversity for fishing rarely seen in one state. In some rivers, you can find both warmwater and coldwater species. 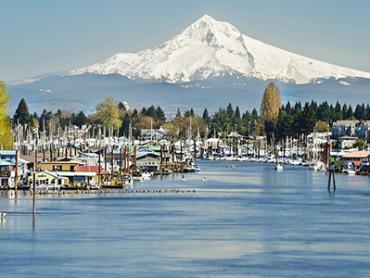 This provides a lot of excitement and fun for anglers who head up to this northern state. Choose to go fishing the lakes in Montana, or spend your vacation fly fishing. There are a lot of lakes and rivers to choose from in the northern parts of Montana. 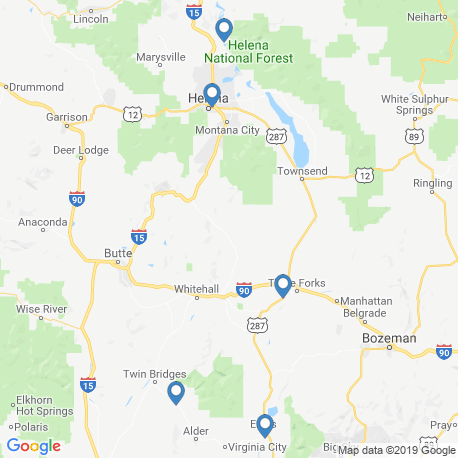 As well as the major ones mentioned below, you can also fish at Kootenai River, Lake Elwell, Fresno Reservoir, Koocanusa, Mary Ronan, McGregor Lake, Swan Lake, and Whitefish Lake, among others. 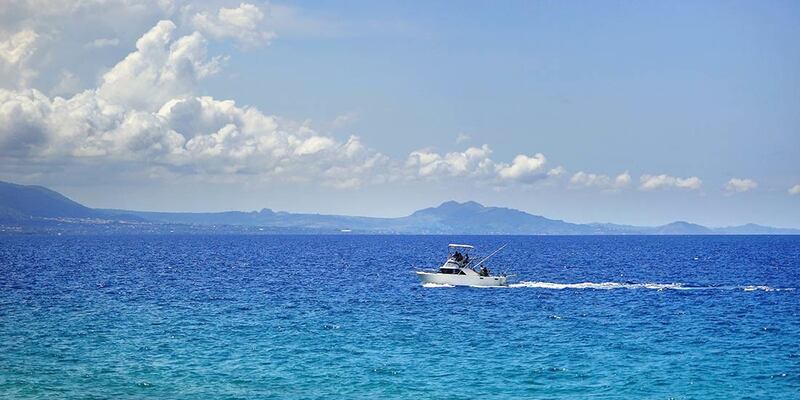 Up north, mountains and forests mix seamlessly with towns and resorts, making it a great spot for a fishing vacation. Flathead Lake is huge – the shoreline itself covers 185 miles. Top catches include Kokanee Salmon, Yellow Perch, Mountain Whitefish, and Lake Trout. A whopping 40 lb Trout has been recorded from this lake. 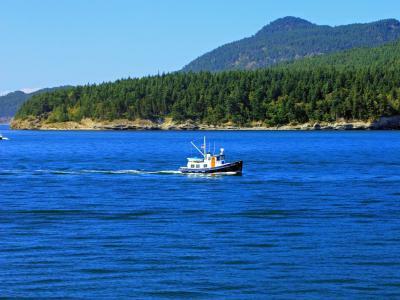 For Salmon, head toward Big Arm and Elmo Bay, whereas for Trout you’ll want to head toward Skidoo Bay and in the Angel area. Swan Lake is a great example of where warmwater and coldwater species can meet in one body of water. This deep lake is 10 miles long, and holds Cutthroat Trout, Brook Trout, Rainbow Trout, Mountain Whitefish, Northern Pike, and Yellow Perch. A magnificent blue-ribbon Trout fisher runs from Holter Dam to Cascade. These 90 miles are heavily fished, and are notorious for their large Brown Trout and Rainbow Trout. Past Cascade you’ll find more Walleye than Trout, and further still you’ll catch Yellow perch, Channel Catfish, Burbot, and Sauger. 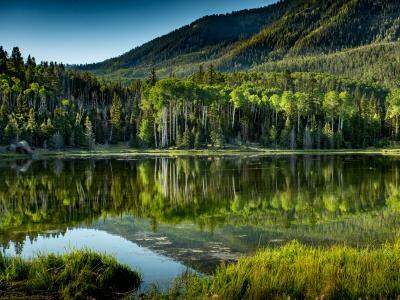 Unlike other isolated lakes in this area, Canyon Ferry Lake is just 15 miles from Helena, making it popular with locals – you’ll see them out and about during the warm weather. It’s a huge lake too, over 35 miles long. That’s plenty of space for Rainbow Trout, Yellow Perch, Smallmouth Bass, Mountain Whitefish, Northern Pike, Brown Trout, Brook Trout, and Walleye. 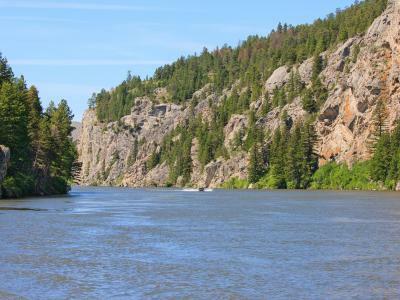 The eastern side of Montana is known for more warmwater species, such as Walleye, Catfish, and Smallmouth Bass. Running for 130 miles, this reservoir is a great spot for Walleye, as well as 40 other species of fish. These include Channel Catfish, Northern Pike, Crappie, Smallmouth Bass, Lake Trout, Sauger, and Yellow perch. A trip here will get you off the beaten path and in record-breaking waters. 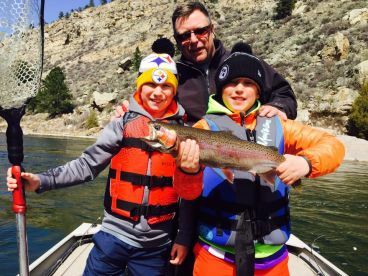 Another top spot for big Brown and Rainbow Trout is Bighorn River. 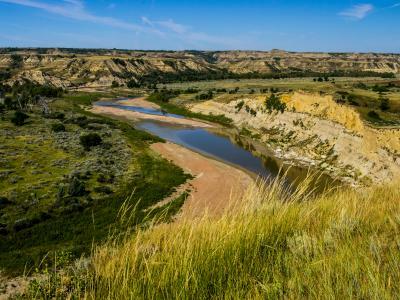 You need to keep an eye on where you are, as this river runs through the Crow Indian Reservation, which anglers aren’t permitted to fish. There’s plenty of space where you are allowed to fish, however – 461 miles of river in fact! It’s still best to fish with a guide who knows where the fishing borders are. As the saying goes, it’s quality, not quantity, and this really encapsulates fishing in the south of Montana. The lakes here are great for fly fishing, and many freeze over and can be used for ice fishing in the winter. Flowing from Yellowstone National Park, this is the longest free-flowing river in the US, running over 670 miles and winding its way through three states (Montana, North Dakota, and Wyoming.) There are plenty of tributaries to fish too, such as Shields, Boulder, and Stillwater River. There are some deep sections along the river, especially up to Yankee Jim Canyon, great for Rainbow, Cutthroat, and Brown Trout. After the “big bend” at Livingstone, the river becomes better suited for fly fishing for Trout. Past Billings, expect to see warmwater species such as Walleye, Paddlefish, Sauger, Catfish, Burbot, and Northern Pike. This 5,000 acre reservoir is heavily stocked each year with large and aggressive Rainbow Trout. It’s known for its excellent Trout. These waters are also excellent for fly fishing. You can reach this reservoir just off of Interstate 15. 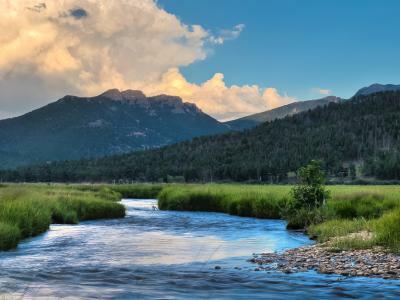 Surrounded by mountains and flowing for 150 miles is another blue-ribbon Trout river. The Big Hole River offers great fishing for Arctic Grayling in the upper mountain tributaries. Here you’ll also find Brook and Cutthroat Trout. Lower down you’ll find Rainbow and Brown Trout. If you’re fly fishing, head over during the hatch of spring salmonfly in June for an excellent trip. Other top fisheries in southern Montana include Georgetown Lake, Gallatin River, Beaverhead River, Jefferson River, and Ruby River. The film “A River Runs Through It” made the Blackfoot River in western Montana famous. 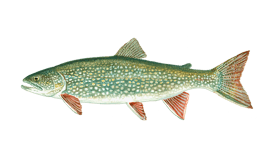 It has since had illegally stocked Northern Pike put into it, and sees a lot of tourists. Although you might want to swing by here, avid anglers will want to continue on. This 50-mile-long creek is a tributary of Clark Fork River, but is vastly different. With a blue-ribbon status, Rock Creek will see you reeling in Brook, Bull, Brown, Rainbow, and Cutthroat Trout. Head over in June to catch the salmonfly hatch. The snow run-off is very important in Montana, and vastly changes the water levels of rivers and lakes. During the run-off season, use stronger leads for best results. Check with your guide about areas affected. Good colors to use for lures when ice fishing are black, silver, pink, gold, and orange. Anglers can only have two lines in the water at once when ice fishing in Montana. Vertical jigging is a popular technique in Montana. Northern Pike, Yellow Perch, and minnows work well as bait. In Montana, it’s illegal to use Trout, Salmon, or Whitefish as bait. The weather can reach highs of 86°F and lows of 15°F. Dress for the weather and you’ll be able to fish year-round comfortably. Ask your guide about Hoot Owl regulations – these will prevent fishing on some rivers after 2:00 p.m.
You will need a license when fishing in Montana. 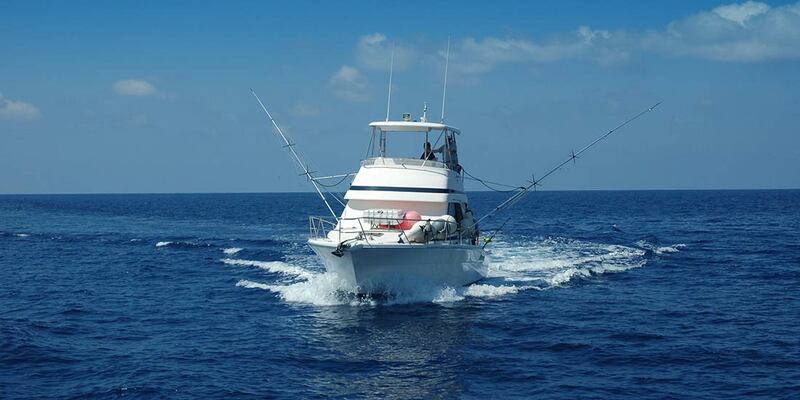 Depending on where you choose to fish will change the price of your license. Keep your license on you at all times. 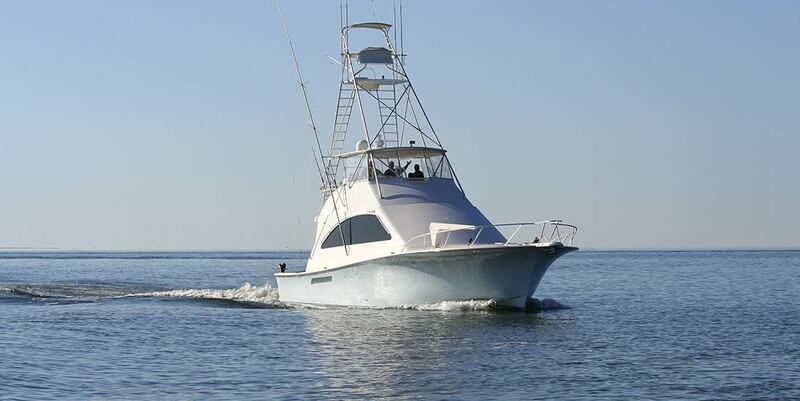 On most waters, you’ll also need a Conservation License. Check with your guide if you need an additional Bull Trout Catch Card or a Paddlefish tag. It’s time to book a fishing trip in Montana for the adventure of your life. 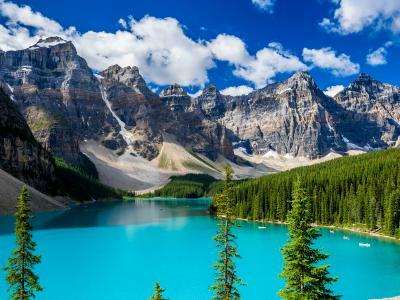 You’ll come back time and time again, captivated by the natural beauty and bountiful lakes and rivers. This can be the coldest month, with temperatures as low as 15°F. Don’t let that deter you, join in an ice fishing derby, they’re held across the state! Join the Sportsmen’s Compass National Ice Fishing Contest, held in all legal waters. On land, watch the dog sled race in Whitefish. This is the last month for many ice fishing derbies. Temperatures can reach highs of 47.6°F, so head to northern Montana if you’re craving colder weather. This is a great month for Rainbow Trout, as they begin to spawn. Salmonfly nymphs hatch now, perfect for fly anglers. 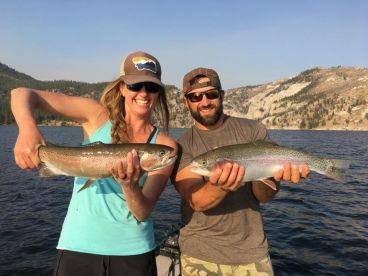 May is a great month for catching Trout, and you’ll be happy to know there’s not too much fishing pressure across Montana. This is usually the last month for snow run-off. A salmonfly hatch is a delicious meal for Trout, who come to the surface to feast. Anglers will have an easy time fishing in June. This is peak fishing time, so arrive early to get the good spots. Join in the Women's Fishing Tournament at Fort Peck. Fishing is still great across the board. Celebrate “Huckleberry Days” in Whitefish, a festival featuring food, a huge art show, and lots of events. Join in the North American Indian Alliance Powwow – an annual celebration, with dancing, food, and music. There’s another hatch in September, making this a great fly fishing month. 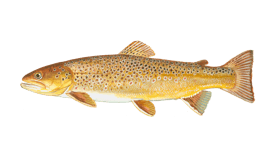 Brown Trout will begin to get ready to spawn. Use streamers when fly fishing for best results. As it gets colder, the fish get less active. Head out between 10:00 a.m. and 2:00 p.m., when the waters are warmest. Spend December ice fishing the lakes for Trout, or head into town for Christmas celebrations.